Nobody ever anticipates storm damage to occur but when it does, there is comfort in knowing that you can count on someone to help you get your home back into shape: Harmony Home Improvement. 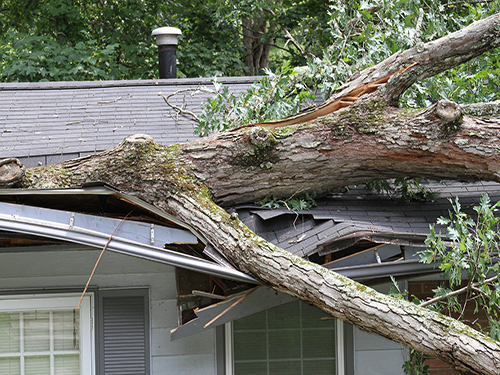 We understand that dealing with any type of storm damage can be overwhelming. Wind and hail damage to your roof or siding is not something you want to leave unaddressed for long, giving it the chance to worsen and cause even more problems for you. As such, we’re here to make sure that you understand all the options available to you, while at the same time moving swiftly to get work done right away. Need to work with your insurance company? We have the experience necessary to make your claim process hassle-free. To ensure you enjoy best results, we only work with quality products from reputable brands in the industry. These products are then guaranteed installed using expert craftsmanship honed through years of experience providing quality service to property owners in Hartford, CT and the surrounding communities. Harmony Home Improvement is committed to quality and ensuring your utmost satisfaction. Big or small, all restoration projects are treated with care and professionalism, allowing us to deliver only the best results for our customers. To learn more about our storm damage restoration services and what we can do for you, just give Harmony Home Improvement a call at (860) 516-9103. We also have an online contact form you can fill out to request a FREE consultation.